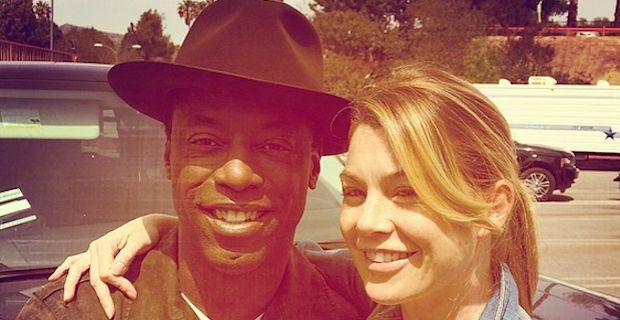 Isaiah Washington is all set to return to Grey's Anatomy for a guest appearance this season. Washington played the role of Dr. Preston Burke in ABC's hit show and he has been duly impressed with how the writers have managed to fit him back in saying "The script is so amazing, it will blow you away". The appearance has come about as Sandra Oh's character Cristina Yang readies herself to become the next Grey's star to exit stage left. Yang and Burke were engaged to be married in a roller coaster love affair which is sure to give them plenty to reminisce over on Burkes return. Ellen Pompeo just posted a selfie of herself and former co-star Washington to her Instagram account beaming "BURKE IS BACK #itsallgoodinthehood #burkeisback". Heating up the #BurkeIsBack campaign further, Washington posted a selfie of himself dressed in his familiar scrubs to his Twitter account while sporting a huge smile. Washington was controversially axed from Grey's back in 2007 after making homophobic comments towards former Grey's star T.R. Knight. Shortly after the incident, Knight announced to the world that he was gay and Washington's contract was not renewed by ABC as punishment for his remarks. Fans have been in a frenzy over the possible return of one their previous favourites but whether the guest appearance would materialise was far from a certainty. However, despite the unlikelihood of a reappearance by Washington on the show, he will most definitely be back in the thick of it in an episode which is set to air in May.